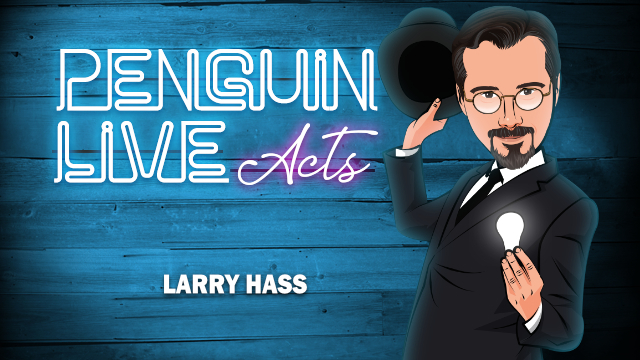 Today, when you order "Larry Hass LIVE ACT", you'll instantly be emailed a Penguin Magic gift certificate. You can spend it on anything you like at Penguin, just like cash. Just complete your order as normal, and within seconds you'll get an email with your gift certificate. Larry Hass LIVE ACT: Sunday May 12th @7:00pm Eastern. (Penguin LIVE) SUPPORT LIVE MAGIC. RESERVE BEFORE SUNDAY AND SAVE. This Act is a formal close-up show—it would play at a a private party, restaurant, or nightclub where people are seated theater style with the close-up table up front. Opening Surprise – An impressive way to grab their attention. Something from Nothing – Finally on video, Larry transforms a blank piece of paper to a $10 bill . . . and then gives the audience a magical surprise. Imagination Card Across – One merely thought-of card travels from one packet to another. A super-clean classic with no palming. Skin in the Game – a mindreading game with ESP cards, where real poker chips are at stake! Walking the High Wire – Larry's fun, extra-deceptive version of a Juan Tamariz routine (taught with Juan's blessings). Larry Hass, Ph.D. is the Dean of McBride’s Magic & Mystery School in Las Vegas, and former Professor of Philosophy and Theater Arts at Muhlenberg College. In 2010, he retired from college teaching to become a full-time performer, teacher, writer, and publisher of magic. 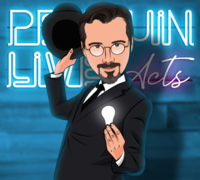 Larry Hass creates magic shows that mix astonishing magic with ideas that lift the spirit. He has performed in over a dozen countries at theaters, nightclubs, restaurants, universities, public conferences, and corporate events all across America and internationally. 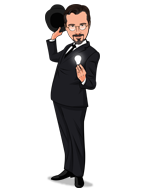 Dr. Hass has won multiple awards both as a writer and as an inspirational teacher of magic. He is the author of several highly acclaimed books for magicians, including Life Magic, Inspirations, Transformations, and Teaching Magic (with Eugene Burger). Larry Hass's visionary approach to magic as an art form has been featured in leading international media, including the New York Times, USAToday, on National Public Radio and the Discovery Channel, and in his recent TEDx Talk. Purchase this product and on May 12th anytime after 12:00pm Eastern, click the MyPenguinMagic area at the top of the Penguin site. You'll see the "learn" button appear next to this lecture.